Nowadays, there are programs far more sophisticated (and discreet) that can measure how well your website is doing and whether your online presence is working for you. Google Analytics is at the forefront with this, and by signing up for an account with them, you can gather a lot of useful information and data that you can then use to define weaknesses and strengths in your website pages. 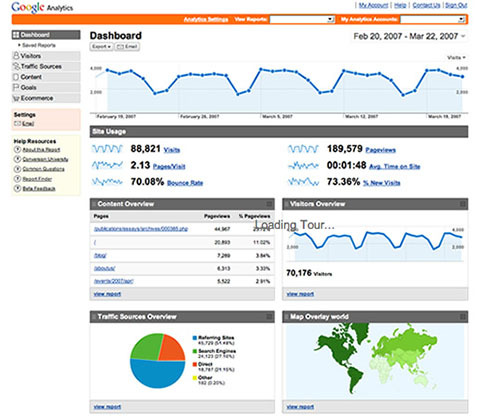 More importantly, Google Analytics can help you pinpoint the areas of your online presence that need some work or improvement. With your very own dashboard, how well your website is doing is not public knowledge. You login to your personal account and can view your data, statistics and website information by navigating through the different sections. The registration process is easy to follow, and the Analytics dashboard is simplified so that whether you're a beginner or you have advanced knowledge, it's easy to navigate and find what you are looking for. Google will start gathering data as soon as your website is live and the Analytics code is installed into your website properly. One real bonus about Google Analytics is that it is completely FREE to set up and add to your website yourself. There is no monthly cost, there are no need for consultants and you can train yourself on how to use it. 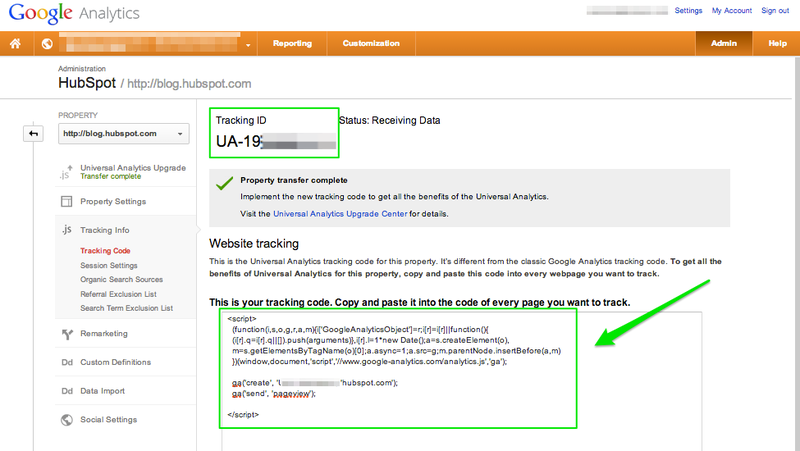 All you need to do is follow the instructions and at the end of the set up process, you are supplied with your very own unique tracking code. This is the code that will need to be added to your website, so that once it is live, it will begin collecting that data. If you do not feel you have the time, or you struggle with setting it up yourself, your web design company most probably can set this up for you for a one off fee. At Toolkit Websites, we can set up your Analytics account for you, set up the goals and schedule it to email you update reports on your websites progress every month or so. Having an Analytics account will really benefit you as the website owner, in knowing how the website is being accessed, who by and what you could do to improve upon that. It might be that your home page is getting a lot of views but certain products or services pages aren't. This may indicate that you need to spend some time on those pages that are not faring so well, and improve upon them by re-jigging the content, editing it or adding more visual aids. It might be that you find your audience is coming from a country that you didn't expect it to be so popular with, which you'll be able to keep in mind for future products, services and campaigns. The results Google Anaytics shows can help you as the webmaster of your website, and means that you are keeping your finger on the pulse in order to make sure the website is performing at it's full potential. Being mindful of what browsers or devices your customers are using to view your website, or what keywords or phrases they are typing to find you can really help with the marketing of your services and make the whole world of difference between success and failure. If you have any questions about Google Analytics, feel free to give the office a call on 02380 633 644. If you would like to add it to your package, a member of the support team will happily oblige. Get tracking your websites performance- call Toolkit Websites today.